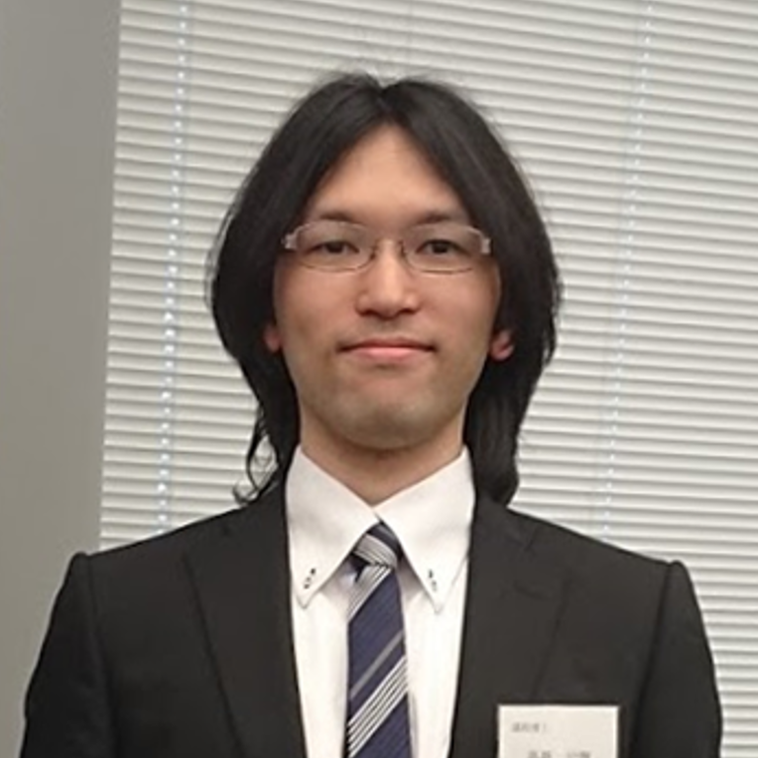 Haruki Takahashi is a Research associate at FMS, Meiji University (from 2018). He received his Ph.D. in Engineering from Meiji University in 2017, advised by Homei Miyashita (Miyashita Laboratory). His general research interests include human-computer interaction and digital fabrication. 2019/01 I collaborated with designers at Nissan Motor Co., Ltd. and Digital Artisan to create an artwork: 1kg dandelion cotton (Press release in JP). 2018/12 Our paper was conditionally accepted at CHI2019. 2018/04 I arrived at my new post: I am a Research associate, Meiji University. 2018/03 I recieved Ph.D. from Meiji University. I am grateful to all of the people who help me. Thank you very much! 2017/05 I had attended CHI2017 and presented our work (Oral and alt.chi). 2017/04 I transferrd to Graduate School of Advanced Mathematical Sciences (Meiji University), and I was installed as an assistant at School of Interdisciplinary Mathematical Sciences (Meiji University). 2017/02 Our alt.chi paper was accepted at CHI2017. Thank you for discussing! 2017/01 I submitted a paper to alt.chi at CHI2017. #1040 on PCS! 2016/12 JP Our paper was published in The Journal of the Society for Art and Science. 2016/12 Our paper was conditionally accepted at CHI2017. 2016/12 JP I had attended WISS 2016 and presented our work. 2016/10 JP Our work was broadcast on TV (Trend Tamago in WBS). 2016/10 I had attended UIST2016 and prensented our work (Demo). 2016/10 This web site was born in the Internet ocean. The emergence of a 3D pen brings 3D modeling from a screenbased	computer-aided design (CAD) system and 3D printing to direct and rapid crafting by 3D doodling. However, 3D	doodling remains challenging, requiring craft skills to rapidly express an idea, which is critical in creative making. 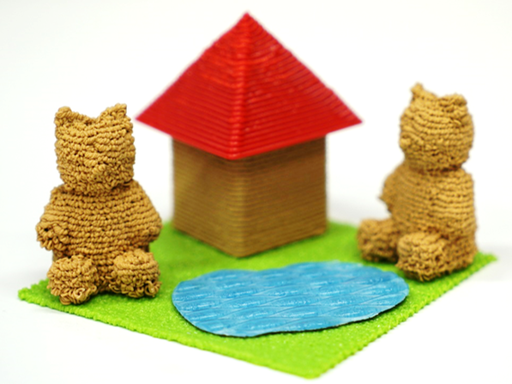 We	explore a new process of 3D modeling using 3D pen + 3D printer. Our pilot study shows that users need support to reduce the number of non-creative tasks to explore a wide design strategy. With the opportunity to invent a new 3D modeling process that needs to incorporate both a pen and printer, we propose techniques and a system that empower	users to print while doodling to focus on creative exploration. 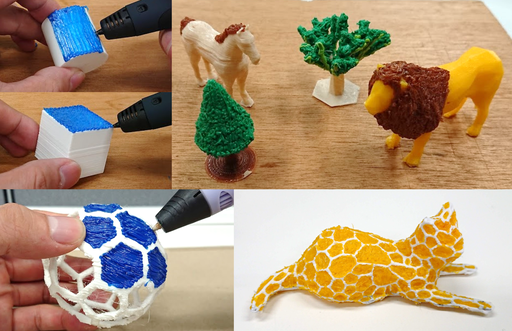 Our user study shows that users can create diverse 3D models using a pen and printer. We discuss the roles of the human and fabrication machine for the future of fabrication. Haruki Takahashi and Jeeeun Kim. 3D Pen + 3D Printer : Exploring the Role of Humans and Fabrication Machines in Creative Making. In Proceedings of CHI 2019, 12 pages, 2019. Example Gcode - I recommend using a PLA filament. Jeeeun Kim, Clement Zheng, Haruki Takahashi, Mark D Gross, Daniel Ashbrook and Tom Yeh. 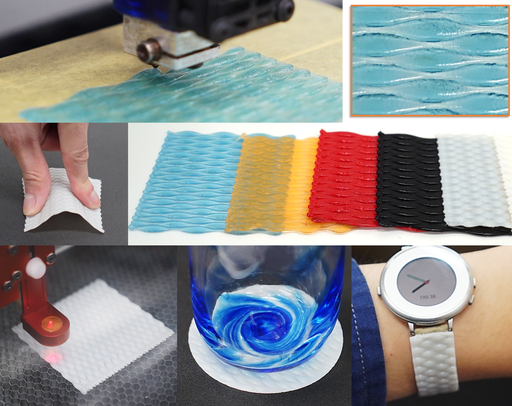 Expanding & Supporting Workflows Towards Compositional 3D Printing. In Proceedings of Acm Symposium On Computational Fabrication (SCF’18), 2018. Haruki Takahashi and Homei Miyashita. Animation Affecting the Operation Feeling on GUI Environment. International Symposium on Psychological vs Mathematical Approaches to Optical Illusion (Tokyo Symposium on Optical Illusion 2015). 野崎 玲那, 高橋 治輝, 宮下 芳明. Felting Deposition Modeling: フェルティングニードルを用いた羊毛フェルト3Dプリンタ, 日本ソフトウェア科学会 WISS2018, 2018. 高橋 治輝, 宮下 芳明. 裁断された譜面を用いたドラム練習支援, 情報処理学会 エンタテイメントコンピューティング2012, pp.337-340, 2012. 日経産業新聞（記事掲載）, 「端末 たたいて操作 明大、ソフト開発 部位認識、ボタン代替」, 2014年10月17日.